When you’re ready to sell your home, it’s important to know what features home buyers are looking for. Whether their motivation is to save the planet or just to save money, buyers in today’s market are looking for energy efficiency in their homes. What features do buyers say are most important to them? 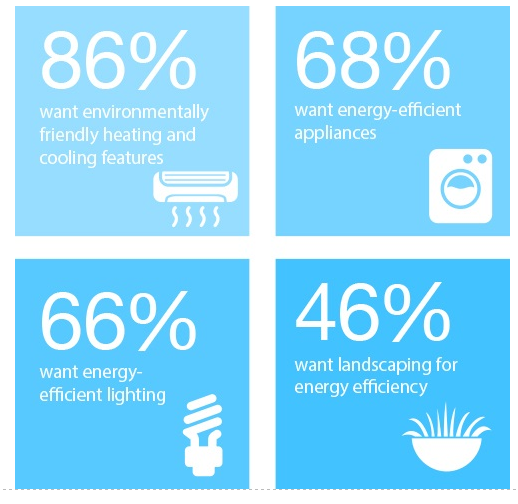 Upgrading your home with environmentally friendly and energy-efficient features can attract more buyers to your home and increase your home’s value. Before investing in any upgrades, give our team a call or submit a request for contact and we will help you customize which upgrades are most appealing for your home to buyers in the greater Athens GA area.